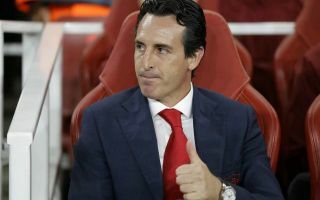 Things are looking pretty positive for Arsenal boss Unai Emery currently, and he’s reportedly even received good news on the injury front too. The Gunners have collected nine consecutive wins in all competitions, as they’re pushing along in the Europa League and have broken back into the top four in the Premier League. After a difficult start to life on the bench at the Emirates, it’s exactly the response that Emery would have been hoping for, and after the international break, he’ll seemingly have one of his top players back at his disposal after recovering from a back injury. As noted below in freelance injury analyst Ben Dinnery’s tweet, it has been suggested that Mesut Ozil returned to training on Tuesday after missing out against Fulham due to his back issue. However, with the entire international break ahead of him to fully recover and get back up to speed, it will be positive news for Arsenal to welcome him back. The 29-year-old has yet to register his first assist of the season, but he does have three goals in eight games, and so he’ll certainly be welcomed back to the fold with open arms. Particularly with the fixture schedule ramping up after the break with Arsenal facing Leicester City, Sporting Lisbon, Crystal Palace and Blackpool all before the end of October, they’ll need as many options as possible. With that in mind, Ozil will hope to play a prominent role in ensuring that their winning streak continues to prove that they’re capable of challenging for major honours this season.